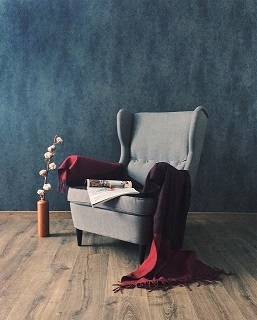 Transform your living room by connecting with our specialists for interior decorating ideas. Enhance the center of your home by visiting our store for living room decorating ideas. When you’re in need of living room ideas, reach out to our staff of design professionals for inspiration that matches your preference with our extensive selection of products. For more than 40 years, we have offered excellent customer service to everyone who has visited our showroom, and we continue that tradition of excellence with each of our valued clients. With exclusive styles at affordable prices, we provide cost-effective solutions that work for your budget without breaking the bank. Make sure to keep an eye on your inbox for updated ideas about our new boutique designs. We offer free in-home design consultation and decorating ideas, we recommend options that combine our extensive industry experience with your personal preferences. Our vast selection of unique products and floor designs ensures that you find the total look that works for your home. With our help, you can create the environment you have in mind for a price that you’re guaranteed to love. Whether you’re renovating your home or constructing a new property, we have up-to-date interior design options that are made to fit any modern décor. No matter how big or small your residential space may be, your floors serve as the style foundation upon which the rest of your home is built. That’s why it’s important to start your next flooring project with our team of professional interior designers. With our help, you’ll be able to renovate your home’s entire appearance with the flooring design of your dreams. With flooring and product solutions for all types of home interiors, our showroom is your destination for unbeatable style and affordability. Our continuing commitment to ensuring total customer satisfaction guarantees you are confident about the choices that we help you decide upon. Trust our years of experience in the industry for design advice that enhances the look and feel of your home’s interior design. Feel free to post pictures of your favorite room to our Facebook page so that we can share your affinity for decorating ideas, or send us a Tweet with any questions that you may have regarding the decoration of your home. Connect With Us on Facebook, Twitter, Instagram and Houzz. We'll send you a few emails each month about the latest design trends, stain care tips and money saving offers. Match up your flooring with other products from our showroom. From hardwood and tile to carpet, laminate, and vinyl, our flooring inventory features a wide range of styles that meet the demands of your home. When it comes to making your living room ideas a reality, we take into account a number of factors, including the type of activities that you intend to host in your home. For living rooms that receive high foot traffic on a regular basis, we recommend floors that are durable enough to withstand the extensive pressure placed on them over time. Check out our Instagram page for more design ideas for your home, and stay updated with our new ideas for living room design on our Houzz page. When you’re interested in finding a stylish interior design for home décor, there’s no better place to start than with a brand new floor. The flooring options that we provide in our showroom are backed by some of the industry’s best warranties and guarantees, so you can be confident in the performance and longevity of your new floor for years to come. We look forward to helping you find the total look you seek. Rely on our design specialists for a welcoming look that is stylish and sophisticated from the ground up. Renovate your home with a visit to our showroom for new interior decorating ideas. We proudly serve the communities of Plymouth, Duxbury, Kingston, Norwell, and Marshfield, Massachusetts.